It's been a while! 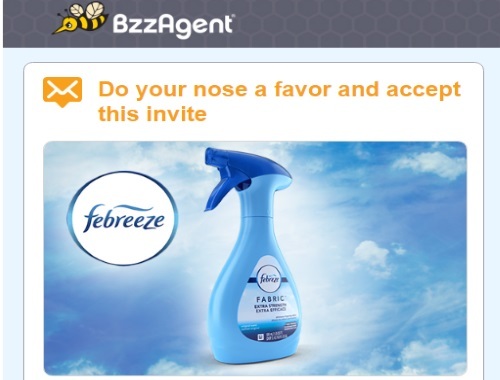 I got into a Bzzagent campaign for Febreze! Formulated to wash away odour molecules, Febreze Fabric Refresher replaces pungent odours with long-lasting, sparkling smells throughout your home, even in hard-to-clean items. As high summer temps usher in summer stinks, reach for Febreze Fabric Refresher. A campaign this fresh will fill quickly, so grab your spot now! Click on the link in your email to join if you were invited for this one! Click here to join Bzzagent if you haven't yet.